it because colors have an extra-ordinary effect on the behavior and perceptions of an individual and hence, change the living experience of that particular person. Categorically, you might have always thought of having a black bedroom, but, it is essential to consider that where black color can create a cuddly environment and attract eyes, it can also make the room more restrictive in appearance. Aside of this, a black bedroom looks classy for sure. 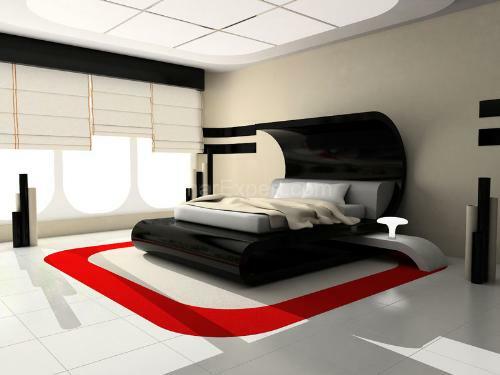 Let us discuss some black bedroom ideas which will help you in choosing your black bedroom design. Considering the black bedroom paint, it will be a rather bold step to paint all the walls of your bedroom black. Your black bedroom walls will look consistent and create a strong, bold environment. But, it is always an intelligent move to paint two walls black and the other two in some accent color like grey or even green. If possible, use black full length curtains instead of doing a paint job in your black bedroom for a transformed look in winters which can be altered in summers by just changing the curtains. Having a black room does not mean that everything in the room must be black in color; it implies that the color black dominates in your black bedroom décor i.e. you need to create focal points with black such that the other colors in the room become suppressed. The focal point of your black bedroom will be its furniture. 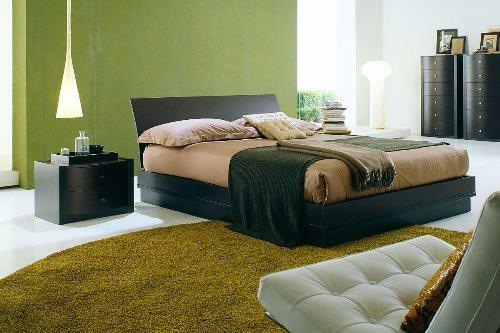 It is not essential to use black bedroom furniture in a room with black painted walls. Instead, you can choose green or white furniture to enhance the brightness in the room and, to minimize the dull look of black bedroom walls. Generally, black bedroom furniture is considered to be minimalist and sleek which adds a contemporary and modern touch to the room. Black furniture looks extravagant yet elegant, if carefully chosen. Complete bed sets with drawers, bedside tables and wardrobes are available in the market. It might be a good option to put a black bedroom set in an accented room with grey and black walls. But it all needs a lot of consideration and brainstorming. An all-black bedroom can become a dungeon if the color scheme is not broken by some other colors. Some popular colors for a black bedroom design are: green, pink, white, chrome and red. 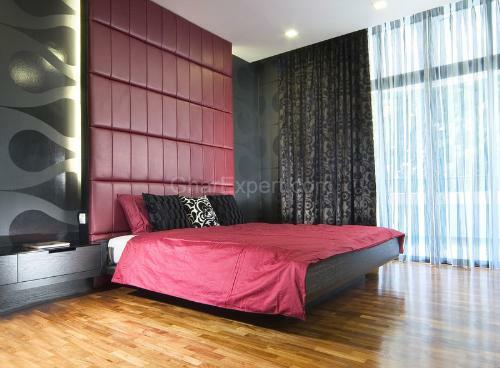 If you want a romantic ambiance, red and black might be your colors. Put up accessories in complementary colors to restrict the cave-like appearance of your black bedroom. Use fabrics, drapes, cushions and pillows, comforters etc in colors to set focal points in your bedroom. You can even use white frames with laces and ribbons to add a tinge of aesthetics. Decorative ornaments and pictures or wall decals in bright shades will help you a lot with black bedroom décor. Make sure you install enough lights to meet the daily needs in your black bedroom. Teen room is the space where teenagers study, relax and enjoy with friends, relatives and family members. So placing things properly and decorating teen's bedroom is a challenging task. Do you want your bedroom looks pretty and charming? If yes, it is the right time to renovate the your bedroom and twist the room into charming look. Master bedroom is designed for the head of the family. The master bedroom is large and mainly equipped with a queen-size bed or king size bed and dresser. However, today a master bedroom has been changed into a room which provides the greatest calm and richness. Flowers decoration at home cheer up emotions and express love for all of us. Artificial flowers as well as Real flowers add to the grace of interior décor of the house as well. Bedroom not only reflects your lifestyle but also displays ample evidence of couple’s love for each other. A charming bedroom with attractive bed and embellished sheet and pillow cases touches your all senses and sets a romantic mood. Apt lighting scheme can transform your bedroom from a purely functional space to an enjoyable and alluring haven within your home. Objects of warm colors and cozy fabrics make your bedroom warm, cozy and inviting in Winter season.